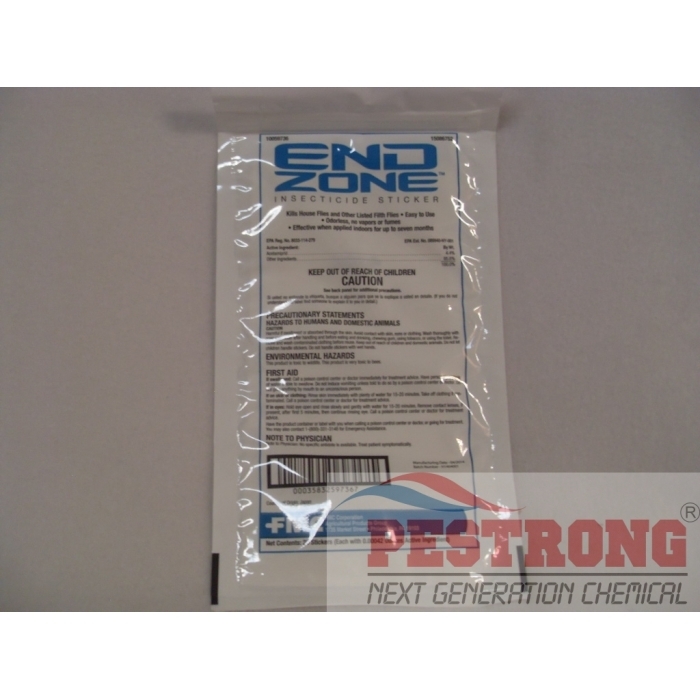 Where to Buy EndZone Sticker, EndZone Insecticide Sticker for Fly - Pack (20 Stickers) - $44.95 for Sale with Fast Free Shipping! EndZone Insecticide Sticker for Fly - Pack (20 Stickers) kills house flies and filth flies with acetamiprid. The revolutionary EndZone insecticide sticker from FMC has been designed to give pest professionals a totally unique filth fly service offering that’s discreet, affordable and incredibly easy to use. The first and only professional fly sticker of its kind in the country, EndZone delivers fast-acting, long-lasting filth fly control to both residential and commercial accounts, indoors and out. If used with other Fly Light Trap, you can get better results. I love how this product kills and sticks at the same time! Easy to use for fly treatment. Good results!